Mr. Milton joined Lewis Law Offices, PLC in April of 2012 as Head Legal Assistant. Mr. Milton is a licensed Realtor, and has actively practiced real estate in the Charlottesville area. 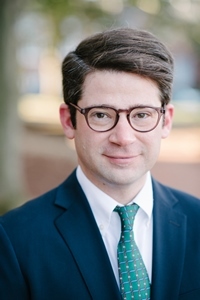 His prior experience includes performing real estate closings and later acting as Office Manager for The Closing Company of Charlottesville, as well as working in marketing and sales locally for a real estate developer based in Athens, Georgia. Mr. Milton is a member of several local, industry related organizations, such as the Charlottesville Area Association of Realtors and the Blue Ridge Home Builders Association. He also volunteers his time as a committee member or fundraiser for Charlottesville area non-profit organizations, most recently the Virginia Center for the Creative Arts and Charity Treks (benefiting the Emory Vaccine Center and the UCLA AIDS Institute).